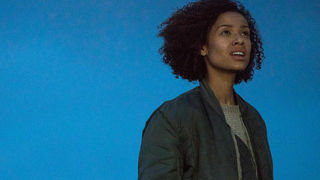 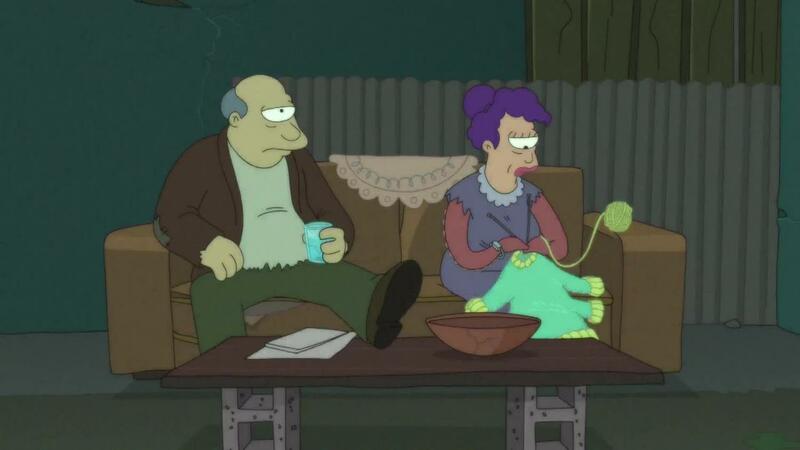 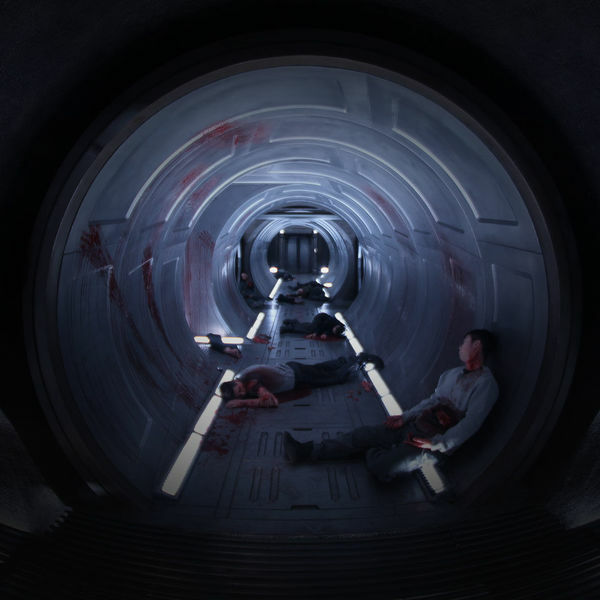 S9/E5: The sewer turns sour when Leela's parents decide to get a divorce after their 40th anniversary party. 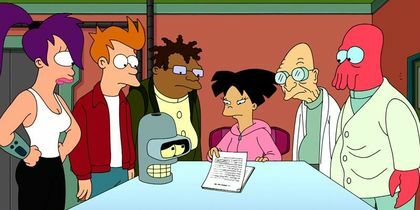 S10/E8: The crew sets out to find Bender's stolen parts. 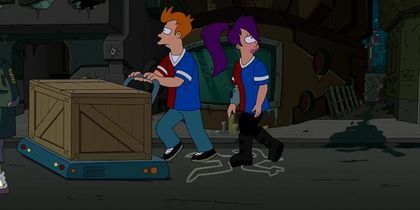 S10/E8: Fry and Leela venture into gang territory to deliver a peace offering. 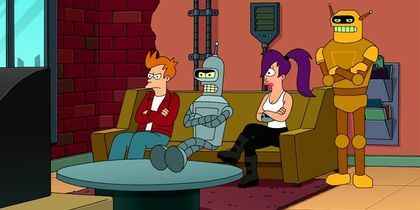 S10/E7: The crew takes Calculon 2.0 to Hollywood in an attempt to re-land his leading role. 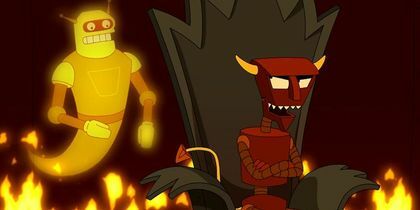 S10/E7: Bender and Fry make a deal with the devil to bring Calculon back to life. 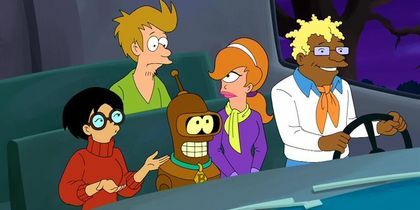 S10/E6: Bendy Boo and the Mystery Crew solve the mystery of the haunted clone machine. 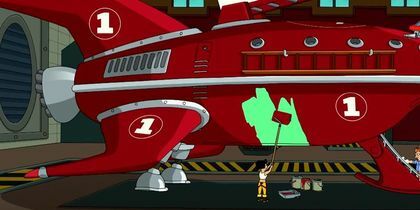 S10/E5: Planet Express becomes the fire department, with hero Bender leading the charge. 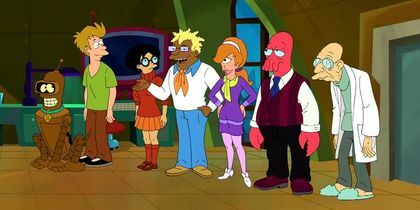 S10/E6: Bendee Boo and the Mystery Crew run into George Takei during their first mystery adventure. 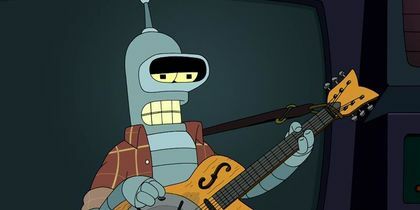 S10/E4: Bender miscalculates the formula for becoming a successful folk musician. 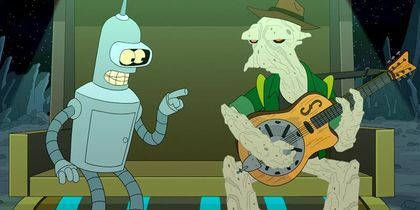 S10/E4: Bender begins his folk singing career by 3D printing a replica of Silicon Red's guitar. 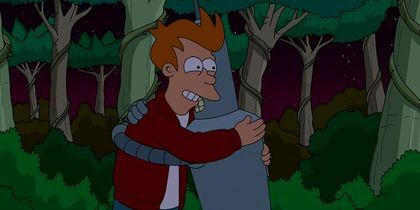 S10/E3: Bender abandons Fry during a mission to harvest sacred weed from the dangerous Omicron Persei 8. 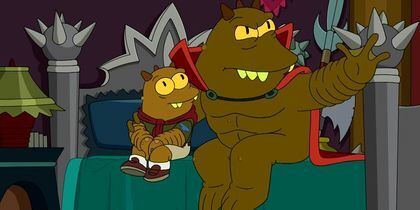 S10/E3: An Omicron boy scout earns his Planetary Invasion Merit Badge. 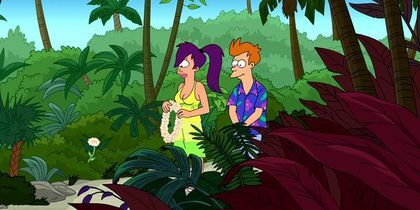 S10/E2: Fry and Leela get an unexpected visitor while on their couple's retreat.